Make stuff. Get it on air. Take control of MTV. 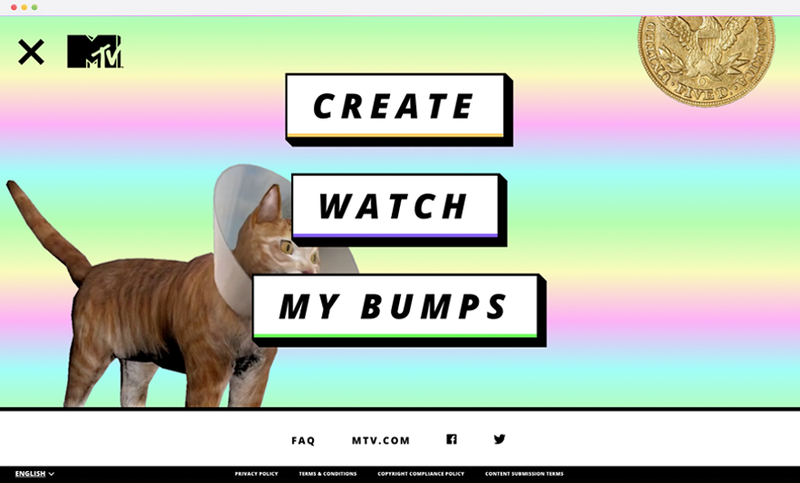 MTV Bump is a responsive, web-based platform that allows the audience to be on MTV by taking over the channel's iconic ident space. The first tool available at launch, Uploader, allows users to submit their Vines and Instagram videos for on-air play. The platform connects to a global CMS where each MTV around the world can select and approve their own content. 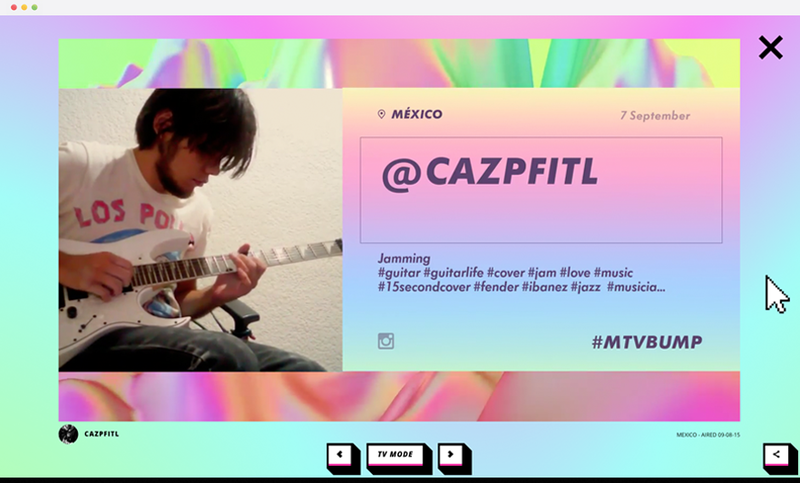 A custom renderer then feeds the content directly into the MTV broadcast system. A user’s submission can go from the web to on-air almost instantly. 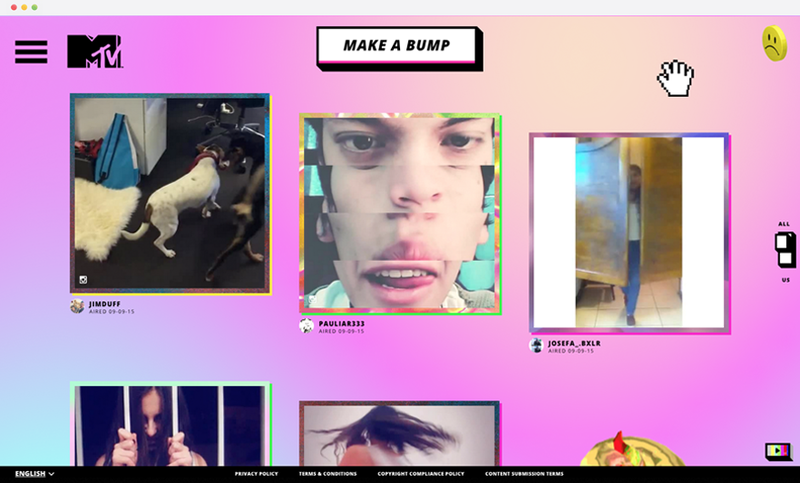 MTV Bump is an ever-evolving platform, new tools will be consistently launched for to allow the audience to create content and get it on MTV. To launch the platform we created a TV spot and invited talent and social media influencers to create the first pieces of content.